Former Reserve Bank of India (RBI) governor Raghuram Rajan. The Congress has criticised NITI Aayog Vice Chairman Rajiv Kumar for blaming former Reserve Bank of India (RBI) governor Raghuram Rajan for the slowdown in country's economy. 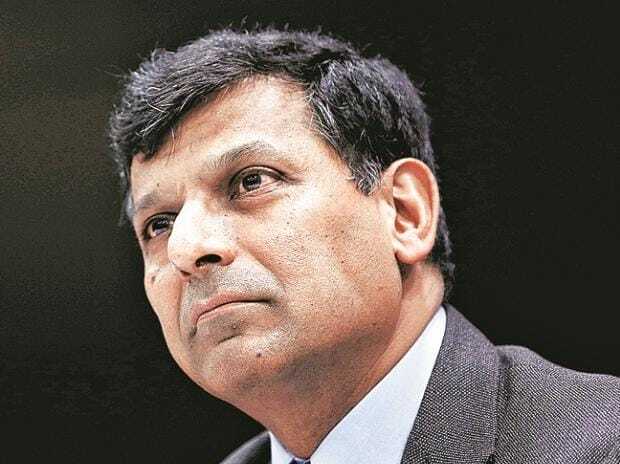 Kumar, on Monday said that Rajan's policies on non-performing assets (NPAs) led to the slowdown in the economy and not the government's demonetisation drive. Speaking to ANI, Congress MP Rajeev Gowda said, "Rajiv Kumar was also ahead in attacking Raghuram Rajan in his efforts in cleaning up the banking system. The NPA's were being identified by Raghuram Rajan and it is important to identify them. BJP has done a horrible job in not acting early enough and strong enough. Trying to pass the buck and blame on Rajan is just an absolute mistake and it has no credibility or factual basis." Talking about the decline in Gross Domestic Product (GDP), he said, "We had a global financial crisis in 2008 after that every country went through a slowdown. The Congress and the United Progressive Alliance (UPA) did a tremendous job in helping to revive India's economy. BJP government came into power at a time when they were able to benefit from the growth that was picking up again. However, there was two body blows to economic growth namely demonetisation and the bad implementation of the GST. These two essentially took away our two percent of the GDP growth. Now we are slowly inching back to the growth rate that should have been a steady-regular growth rate through the last few years." Echoing similar views, Congress spokesperson Randeep Singh Surjewala brushed off NITI Aayog Vice Chairman's remark and termed it "obnoxious and laughable". "This is called blame game and shifting of the goal post. When UPA demitted power, NPAs were only 2 lakh 83 thousand crore which was controllable but now after 4 years of BJP rule, the NPAs are touching 12 lakh crore. Modi Government has itself given this data through a reply in parliament on 31st July 2018... Demonetisation disaster has led to a drop of 1.5 percent in GDP causing a loss of two lakh twenty-five thousand crores," Surjewala added. He also launched an attack on Prime Minister Narendra Modi and said, "Only a handful industrialist friends of Modi ji is prospering and every other business is shutting down. Currency is falling, the economy is failing, exports are down and Foreign direct investment (FDI) is at the lowest level.